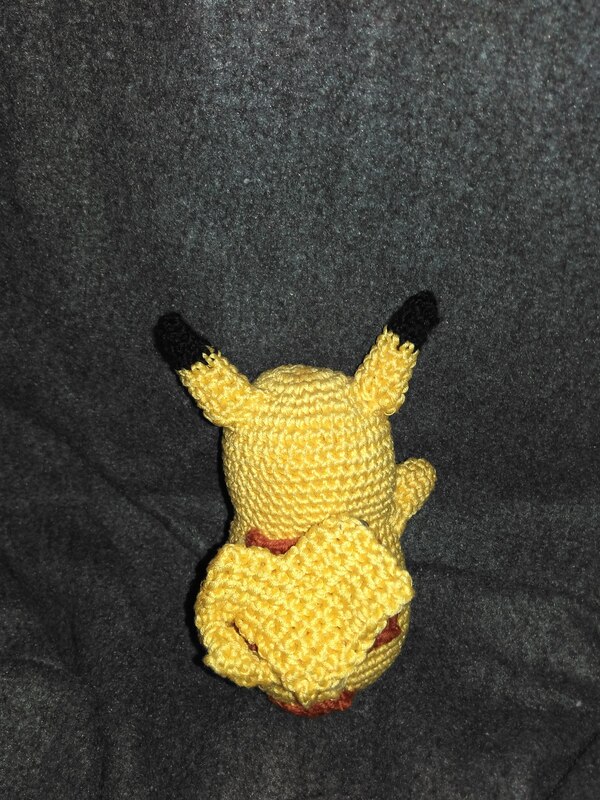 The Pikachu is also done. This one has quite a stern face, in my opinion, but in my defense my 6 yo was helping me embroider it. Lots of fun projects going on! 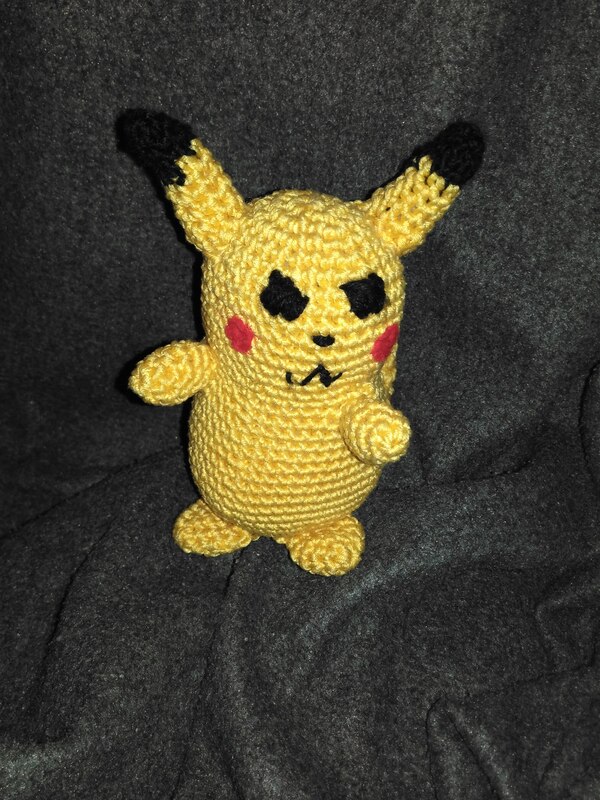 The Pikachu does look a little stern, but still awfully cute – especially that tail! Kids just love Pokemon don’t they? I’m making my son pokeball mittens right now. I love this pattern for Pikachu, and yes kids just love the Pokémon – no wonder, they are very cute! 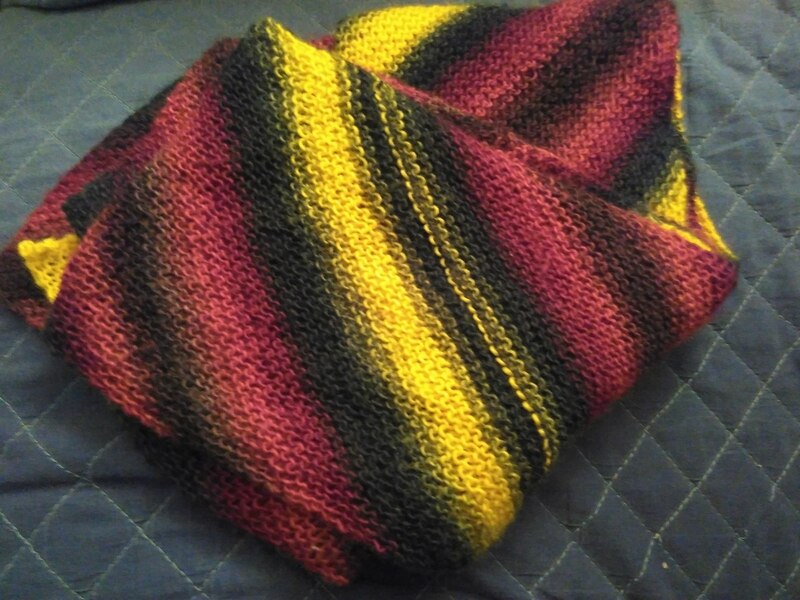 Oh look at that stripey scarf – I love it and a matching hat will be splendid. Thank you. 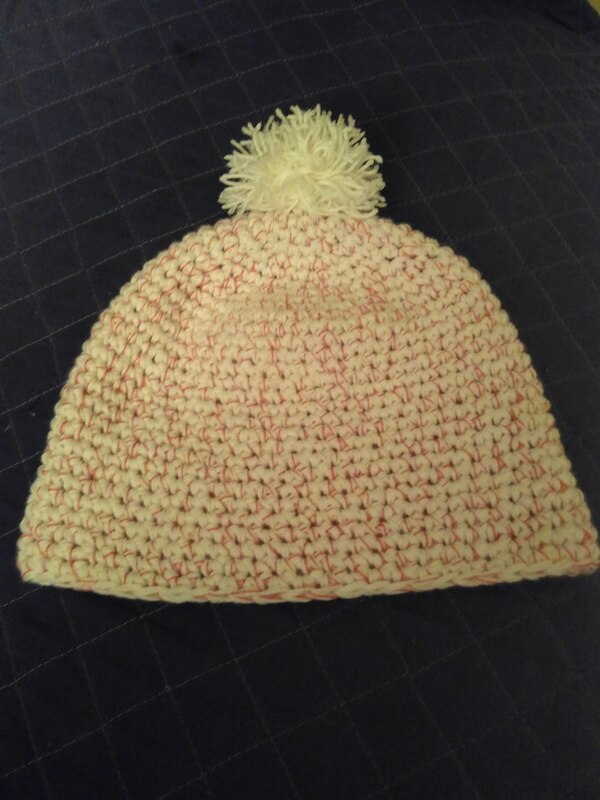 The hat is coming along nicely, but will still take a while as he would like a long slouchy one. Hi Catherine. I might do a separate post. But in a couple of words you knit in garter stitch with 3 stitches. 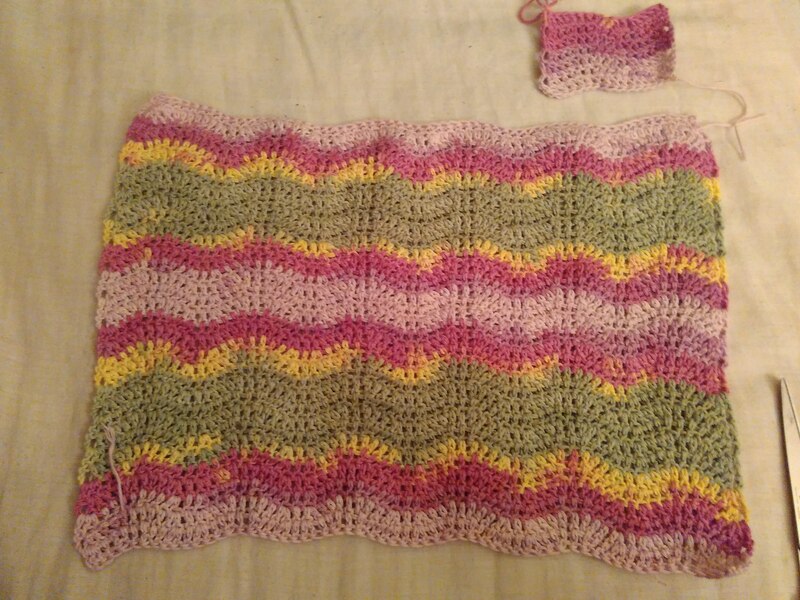 Increase 1 stitch at the beginning of each row, until the side edge is not the desired width of the scarf. Then increase 1 St at the beginning of even rows and decrease 1 St at the beginning of each odd row. Continue until the desired length is reached. Then decrease one stitch at the beginning of each row until 3 stitches remain. Bind off. Thanks so much Leila. I love these sort of patterns. Lots of shaping with plain knitting. Keeps it interesting. I have a lot of 5ply/sport in my stash which I think would work well. I’m glad you like it – let me know if you have any questions. 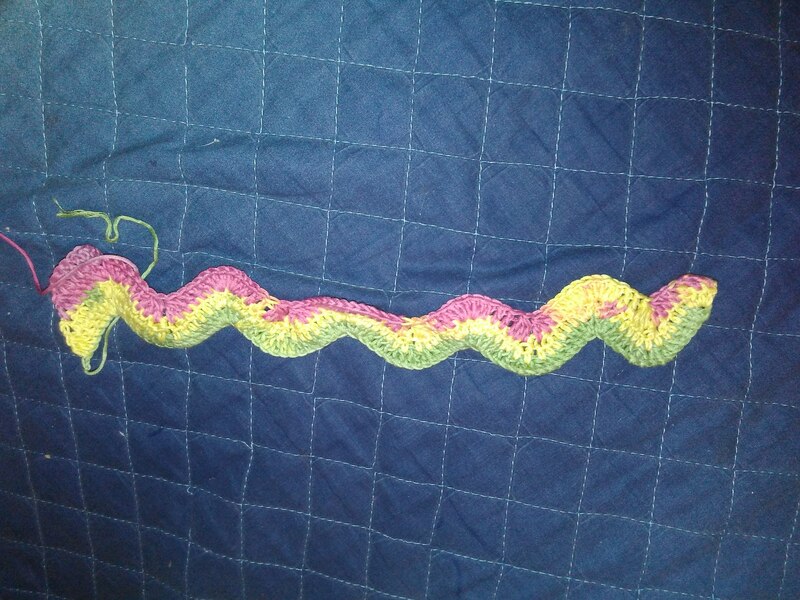 I knit a lot to relax and while watching TV, so that’s the kind of knitting I like the most, too. Wow – you have been productive. The placemat is so pretty. And the hat you made for your mother looks great!